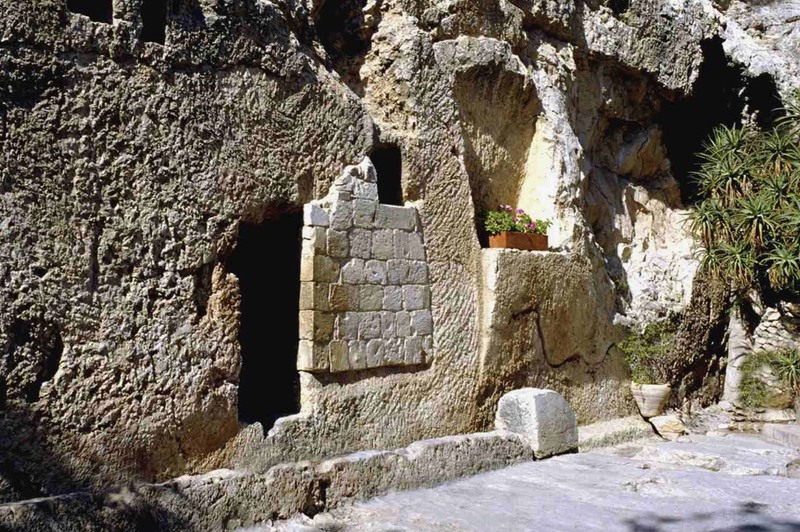 Holy Week Timeline Resurrection Sunday – He isn’t here! He is risen from the dead, just as he said would happen. Come, see where his body was lying. One Walk with the ‘risen’ Jesus Christ! On Resurrection Sunday, or Easter, we reach the culmination of Holy Week. The resurrection of Jesus Christ is the most important event of the Christian faith. The very foundation of all Christian doctrine hinges on the truth of this account. On the day of his resurrection, Jesus Christ made at least five appearances. Mark’s Gospel says the first person to see him was Mary Magdalene. Jesus also appeared to Peter, to the two disciples on the road to Emmaus, and later that day to all of the disciples except Thomas, while they were gathered in a house for prayer. 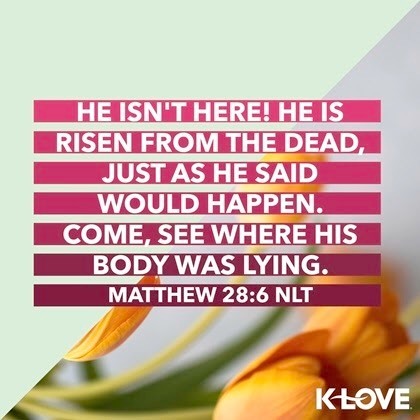 The eyewitness accounts in the Gospels provide what Christians believe to be undeniable evidence that the resurrection of Jesus Christ did indeed happen. Two millennia after his death, followers of Christ still flock to Jerusalem to see the empty tomb. Sunday’s events are recorded in Matthew 28:1-13, Mark 16:1-14, Luke 24:1-49, and John 20:1-23. "Then the angel spoke to the women. "Don’t be afraid!" he said. "I know you are looking for Jesus, who was crucified. He isn’t here! He is risen from the dead, just as he said would happen. Come, see where his body was lying. And now, go quickly and tell his disciples that he has risen from the dead, and he is going ahead of you to Galilee. You will see him there. Remember what I have told you."" Dear Lord God, Abba Father, Jesus my Savior, thank You for today, the day You have made for us through Jesus’s passion and resurrection. 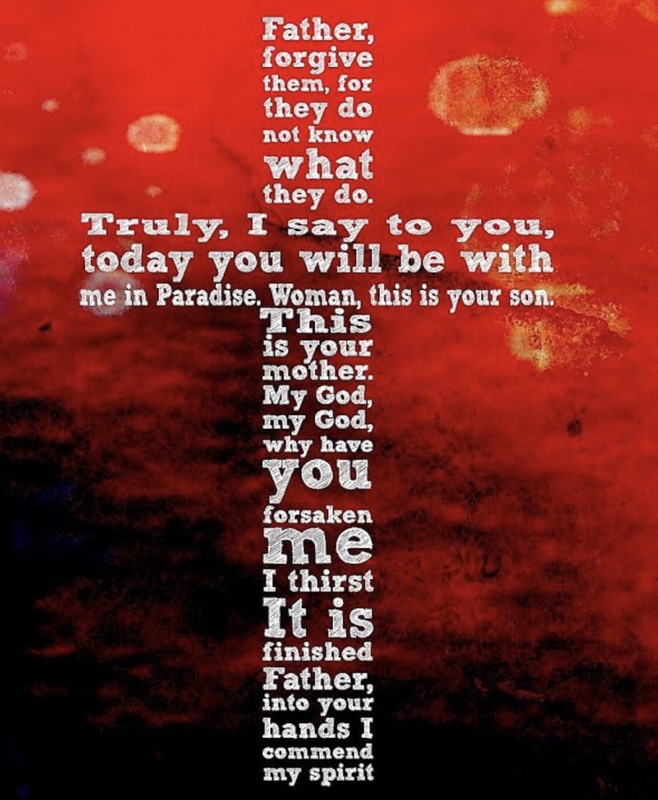 Holy Week Timeline Saturday in the Tomb – For you know that God paid a ransom to save you from the empty life you inherited… It was the precious blood of Christ, the sinless, spotless Lamb of God. My One Walk with Jesus today is about putting myself with His disciples. Lost and afraid, and despite all they had seen Him do and say unsure about tomorrow. Jesus is in the tomb and on this day dead… but tomorrow is coming and He will rise! Disciples at the scene of the entombment of Jesus after his crucifixion. Nicodemus, like Joseph of Arimathea, was a member of the Sanhedrin, the court that had condemned Jesus Christ to death. For a time, both men had lived as secret followers of Jesus, afraid to make a public profession of faith because of their prominent positions in the Jewish community. Similarly, both were deeply affected by Christ’s death. 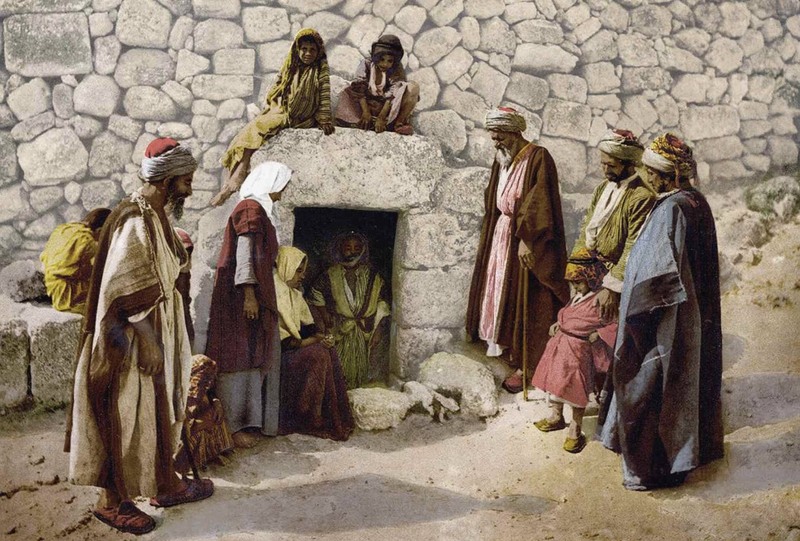 They boldly came out of hiding, risking their reputations and their lives because they had come to realize that Jesus was, indeed, the long-awaited Messiah. Together they cared for Jesus’ body and prepared it for burial. Saturday’s events are recorded in Matthew 27:62-66, Mark 16:1, Luke 23:56, and John 19:40. Dear Lord God, Abba Father, Jesus my Savior, thank You for Your passion and sacrifice. Remember me and mine, remember us. Let us always walk as one with Jesus with eyes of faith, hope in the resurrection and unconditional love, with hearts likened to His. In Jesus name I pray. Glory be to the Father and to the Son and to the Holy Ghost; as it was in the beginning is now and ever shall be, world without end. Amen. One Walk with Jesus on this Good Friday is about knowing His passion, feeling His love and ‘accepting’ Him. So answer the question He asked… who do you say He is? Good Friday is the most difficult day of Passion Week. Christ’s journey turned treacherous and acutely painful in these final hours leading to his death. Meanwhile, before the third hour (9 a.m.), Jesus endured the shame of false accusations, condemnation, mockery, beatings, and abandonment. 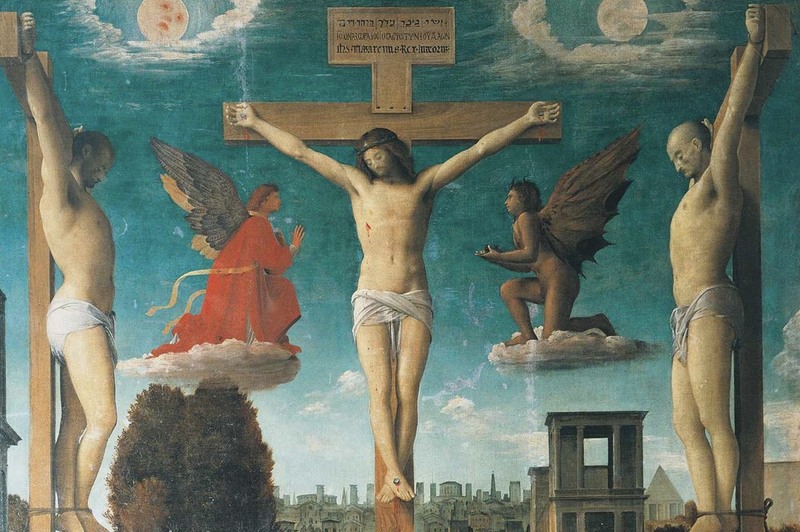 After multiple unlawful trials, he was sentenced to death by crucifixion, one of the most horrible and disgraceful methods of capital punishment known at the time. Before Christ was led away, soldiers spit on him, tormented and mocked him, and pierced him with a crown of thorns. Then Jesus carried his own cross to Calvary where, again, he was mocked and insulted as Roman soldiers nailed him to the wooden cross. 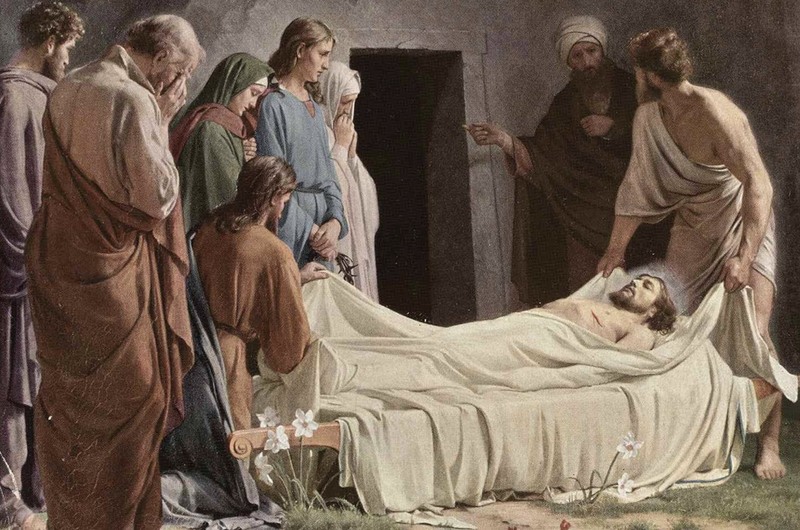 Then, about the ninth hour (3 p.m.), Jesus breathed his last breath and died. By 6 p.m. Friday evening, Nicodemus and Joseph of Arimathea took Jesus’ body down from the cross and lay it in a tomb. Friday’s events are recorded in Matthew 27:1-62, Mark 15:1-47, Luke 22:63-23:56, and John 18:28-19:37. Jesus didn’t say much as he hung dying on the cross, but these few words He did say hold significant meaning. Find out more by listening to the series “Seven Sayings of Jesus” on Haven Today. Dear Lord God, Abba Father, Jesus my Savior, thank You for the Cross. While Jesus is worthy, I know I am not, we are not, but through Jesus Christ my savior, our savior, we are made new. Thank You! In Jesus name I pray. Glory be to the Father and to the Son and to the Holy Ghost; as it was in the beginning is now and ever shall be, world without end. Amen. 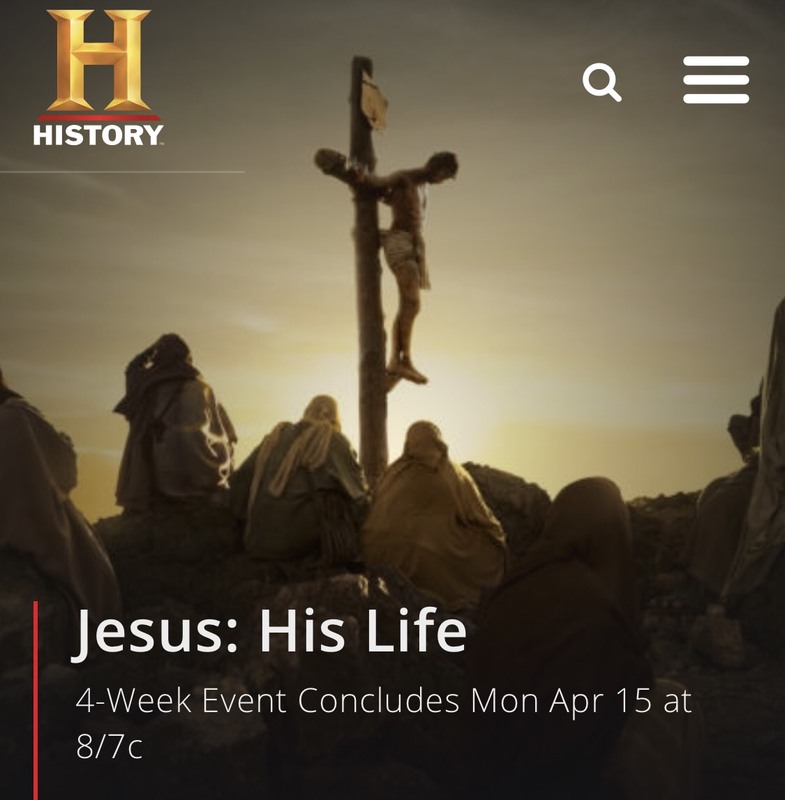 Holy Week takes a somber turn on Thursday. From Bethany, Jesus sent Peter and John ahead to the Upper Room in Jerusalem to make the preparations for the Passover Feast. That evening after sunset, Jesus washed the feet of his disciples as they prepared to share in the Passover. By performing this humble act of service, Jesus demonstrated by example how believers should love one another. Today, many churches practice foot-washing ceremonies as a part of their ​Maundy Thursday services. As the Lamb of God, Jesus was about to fulfill the meaning of Passover by giving his body to be broken and his blood to be shed in sacrifice, freeing us from sin and death. 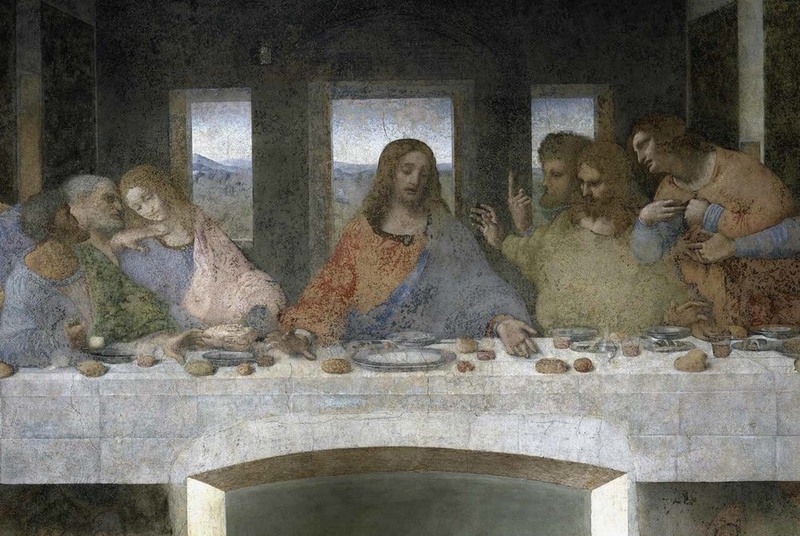 During this Last Supper, Jesus established the Lord’s Supper, or Communion, instructing his followers to continually remember his sacrifice by sharing in the elements of bread and wine (Luke 22:19-20). Later, Jesus and the disciples left the Upper Room and went to the Garden of Gethsemane, where Jesus prayed in agony to God the Father. Luke’s Gospel says that "his sweat became like great drops of blood falling down to the ground" (Luke 22:44, ESV). Late that evening in Gethsemane, Jesus was betrayed with a kiss by Judas Iscariot and arrested by the Sanhedrin. He was taken to the home of Caiaphas, the High Priest, where the whole council had gathered to begin making their case against Jesus. Meanwhile, in the early morning hours, as Jesus’ trial was getting underway, Peter denied knowing his Master three times before the rooster crowed. Thursday’s events are recorded in Matthew 26:17–75, Mark 14:12-72, Luke 22:7-62, and John 13:1-38. Dear Lord God, Abba Father, Jesus my Savior, thank You for You love and passion. For loving us even though we fail You so often. Fallen by nature, dead in our sins, but saved by Your mercy and transformed by Your grace. Help us to walk with You today, feeling Your love and passion along the way. Open our hearts to Your teachings and help us to follow Your example. In Jesus name I pray. Glory be to the Father and to the Son and to the Holy Ghost; as it was in the beginning is now and ever shall be, world without end. Amen. For me, prayer is an aspiration of the heart, it is a simple glance directed to heaven, it is a cry of gratitude and love in the midst of trial as well as joy; finally it is something great, supernatural, which expands my soul and unites me to Jesus. Tomb of Lazarus Bethany (c. 1900). And Jesus answered and said to her, "Martha, Martha, you are worried and troubled about many things. But one thing is needed, and Mary has chosen that good part, which will not be taken away from her." Jesus replied: "’Love the Lord your God with all your heart and with all your soul and with all your mind.’ This is the first and greatest commandment." Dear Lord God, Abba Father, Jesus my Savior, thank You for Your Words of life. For Your blessings. For Your teachings. Help us to slow down and find a quite place to pray and listen. We allow ourselves to get busy and with being busy comes worry. Why, because we don’t make time to pray and rest in You. Busyness weakens our faith and with that we lose hope, and with the loss of hope we find it harder to love. And the loss of love we are separated from You even further. Help us Lord God to pray. Strengthen of faith, feed our hope, and be our example for love. In Jesus name I pray. Glory be to the Father and to the Son and to the Holy Ghost; as it was in the beginning is now and ever shall be, world without end. Amen. On Tuesday morning, Jesus and his disciples returned to Jerusalem. They passed the withered fig tree on their way, and Jesus spoke to his companions about the importance of faith. Later that afternoon, Jesus left the city and went with his disciples to the Mount of Olives, which sits due east of the Temple and overlooks Jerusalem. Here Jesus gave the Olivet Discourse, an elaborate prophecy about the destruction of Jerusalem and the end of the age. He speaks, as usual, in parables, using symbolic language about the end times events, including His Second Coming and the final judgment. Scripture indicates that this Tuesday was also the day Judas Iscariot negotiated with the Sanhedrin, the rabbinical court of ancient Israel, to betray Jesus (Matthew 26:14-16). After a tiring day of confrontation and warnings about the future, once again, Jesus and the disciples returned to Bethany to stay the night. 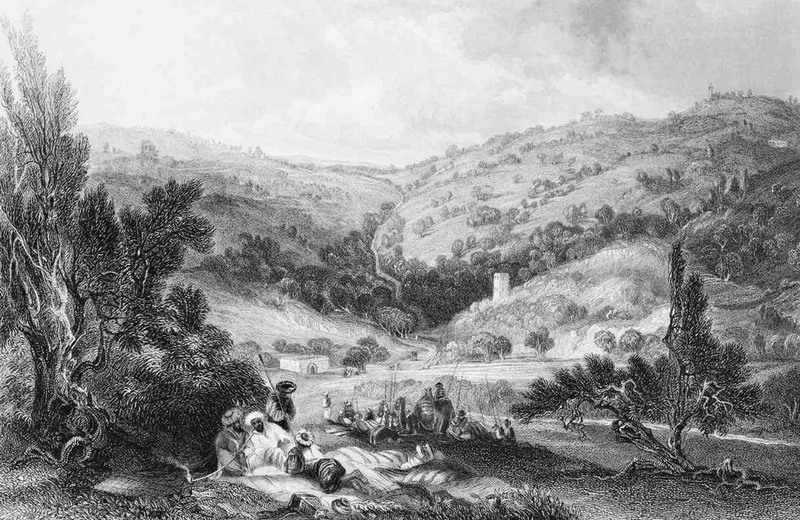 The tumultuous events of Tuesday and the Olivet Discourse are recorded in Matthew 21:23–24:51, Mark 11:20–13:37, Luke 20:1–21:36, and John 12:20–38.